Civilization is our highest human achievement and, to quote Derrick Jensen from his book Endgame, “civilization is killing the world.” Hyperbole aside, the tension between those two broad assertions is the central concern of Earth Now: American Photographers and the Environment, an ambitious exhibition curated by Katherine Ware and currently on view at the New Mexico Museum of Art in Santa Fe. Extending the reach of the show are: a richly produced catalog, with two essays by Ware, published by the Museum of New Mexico Press; an extensive website complete with social media components; and a series of lectures and panel discussions. All expand upon the exhibition in order to carry it beyond the museum’s walls. 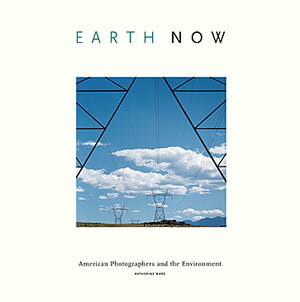 The overt intent of Earth Now is to trace the arc of environmental awareness and activism in the United States through photography while simultaneously asking big questions about where we are right now, how we got here and what’s next. As Ware demonstrates in her essay “Idealists, Skeptics and Doomsayers” the impulse to use photography as a tool in service of preservation, and later as a means for revealing environmental destruction, extends back to the recognition that there are places worth leaving alone. Using a selection of images drawn from the museum’s permanent collection Ware guides us from Ansel Adams and Eliot Porter, and their involvement with the Sierra Club, through notable projects like New Topographics and Richard Misrach’s Bravo 20 that reveal the progression of the modern environmental movement and our nascent understanding of human impact on the biosphere. Regardless of any familiarity with that accrued history, and our jaded twenty first century “I’ve heard it all before” attitudes, the current context of environmental disasters creates an air of serious urgency. A combination earthquake/tsunami/nuclear meltdown in Japan, massive wildfires in Australia and the western United States (several of them visible from the exhibition venue), tornados and floods in middle America, melting glaciers everywhere in the world, and oil prices back up to record levels with no appreciable decrease in global demand on the horizon: all have been in the headlines this spring. It’s the moment for dramatic action and yet techno-industrial civilization pushes forward and growth remains the perennial measure of prosperity. And, that’s just where another current of the exhibition and catalog manifests: a combination of renewed idealism tempered with pragmatic resignation. In part 2 of the exhibition catalog, “Finding A Way Home” the artists included engage and respond to an often “mediated landscape” (Ware 69). These artists are grappling with many of the ideas that Bill McKibben has been advancing over the last decade. We’ve fundamentally changed the planet and human influence on the biosphere is pervasive. Things are changing and we are going to have to get used to it and adapt more rapidly than most scientists had anticipated. We live on a managed planet and nature has ceased to be the temple that it was for Adams and Porter. It’s increasingly functioning as an artifact of human endeavor. The exhibition touches on these points in ways that are both subtle and striking. Sonja Thomsen’s images from her project Petroleum examine the seductive visual qualities of the fossil fuel that powers most of our lives and Christina Seely’s nocturnal images of radiant metropolises offer up a captivating example of that power being put to use. Urban sprawl and hazardous waste are meditations on contemporary adaptation and traditional stewardship. Matthew Moore cultivates his family farmland in Phoenix, Arizona in the pattern of residential subdivisions and then makes aerial photographs of the results. Actual subdivisions will eventually overtake his efforts and it’s as if his faux suburbia made of wheat and sorghum might function as camouflage from the prying eyes of would-be developers. The northern New Mexico agricultural communities which are based around acequia irrigation that’s been practiced continually for over four-hundred years are the focus of Sharon Stewart’s work. Joann Brennan and Dornith Doherty each look at efforts to mitigate the pervasive effects of human intervention in natural systems. Brennan documents the work of biologists who try to restore and/or manage wildlife populations that no longer stay in balance on their own. A comprehensive seed vault that is being compiled in Sweden in anticipation of worst-case scenarios is the subject Doherty’s photographic collages. Frequently exhibitions are seen only by those who visit the hosting venue. Along with the physical Earth Now exhibition the museum has produced a website complete with multiple social media components that extends the reach of the show significantly. Visitors to http://online.nmartmuseum.org/earthnow are rewarded with work by all of the participating artists, an array of video interviews, a curator’s blog, links to environmental organizations and more. David Taylor is a photographer, teacher, and Guggenheim fellow based in Las Cruces, NM.